For the first time in Baltimore County, registered voters will have the opportunity to choose the members of Baltimore County’s Board of Education who represent their district. The 12-member hybrid elected school board will be comprised of four appointed and seven elected members, as well as one student member. 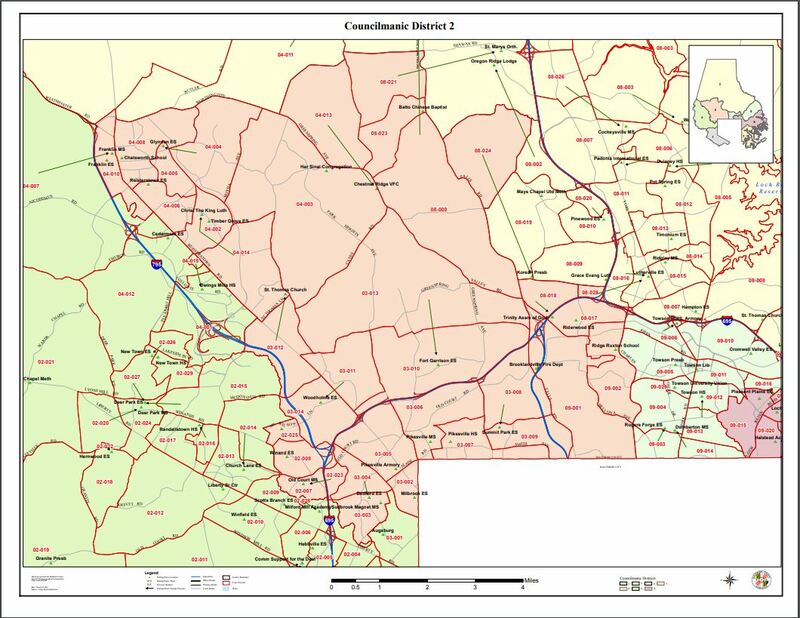 In the county’s seven councilmanic districts, voters will have the opportunity to cast their vote for their districts’ board representative. In districts with less than three candidates running for the position, candidates will bypass the primary election process and appear only in the general election. In District Two, two candidates are running for a seat on the school board and will appear only on November’s ballot in the general election. The Baltimore Post reached out to both candidates to give each an opportunity to answer questions. 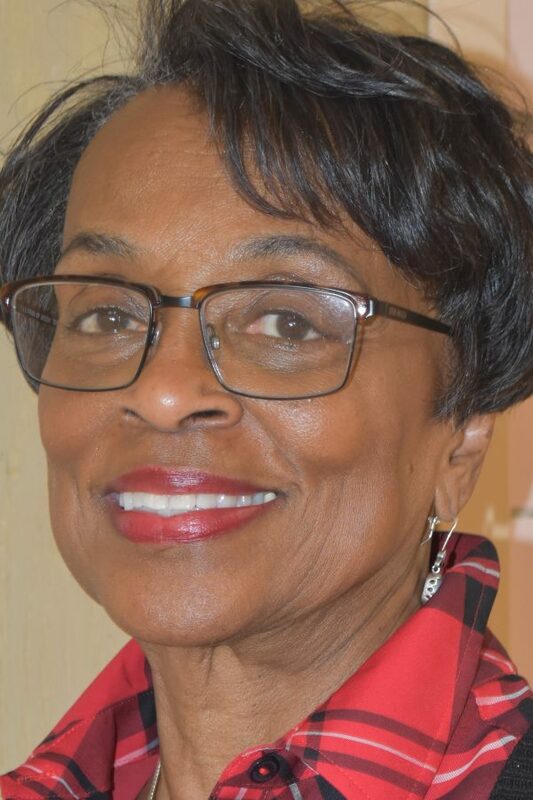 Cheryl Pasteur, a longtime former Baltimore County Public Schools’ administrator and F.B.I. agent, who is running for a seat on the school board to represent District Two, was the only candidate of the two to respond from her district to the questions. Information on other district candidates and Ms. Pasteur’s opponent, Anthony Glasser, can be found on the State Board of Elections Candidate Listing. Ms. Pasteur’s bio can be viewed here. CP: The BOE is a major organ of the BCPS, the manager of the System, impacting the system’s collective team, advocating for the education and safety of children, staff, and faculty in Baltimore County Schools! I want to serve as a part of that team. I want to be an integral part of what happens to the schools in the System, particularly those I would represent, ensuring that there is equity in resources, staffing, building maintenance, and System supports. Relationships with parents, community representatives, board members, system associations, system hierarchy, and elected officials must be forged to support all systemic initiatives and funding efforts. CP: Creative ideas and programs should be applauded: partnership with Northwest Hospital and Northwest Middle Magnet (Old Court); completion and development of Sollers Career Technology School; the implementation of literacy programs which are blended with 21st century technology programs; conversations about a career/technology center on the west side of the county; supporting Milford Mill Academy as the west side arts magnet. CP: Partnership with Northwest Hospital and Northwest Middle Magnet (Old Court) was poorly laid out and planned. Work should have been done to strategically improve the instruction at the feeder schools to prepare the students for the rigors they would face. Funds should have been infused to offer opportunities to prepare the students. Randallstown High School should have been prepared to support the students on the high school level to prepare the students to transition to the Northwest Hospital for their practical experience; none of this was done. The implementation of literacy programs which are blended with 21st century technology programs, S.T.A.T., should have had a strategic plan for implementation and assessing how it meets the needs of the students in this system; these plans were not developed. Conversations about a career/technology center on the west side of the county were just that –“conversations”. There was no real action on the part of the superintendent to make this a reality; the CAO, Mrs. White, did not know this was being discussed. The real work of this did not happen until Mrs. White became the Interim Superintendent. Supporting Milford Mill Academy as the west side arts magnet was in name only. The facility was not ready with appropriate and needed space and equipment to make the facility a viable choice for the west side of the county; students were received into a weak facsimile of both Carver Center and Patapsco. These programs were each in schools which cannot afford to have poor preparation and support! Until this year, none of the good ideas have had the shape they need. So the good ending is in sight under the Interim Superintendent. CP: Funding for our students/schools must be increased to give ALL students a balanced and equitable opportunity to meet their intellectual and social potential with well trained, retained, and financially supported faculty and staff. Programs to support, engage, and expand the intellectual prowess of students, continuous and current staff development, and support services for students and staff must be funded to address the needs and potential of every child and to demonstrate respect for the professionalism of faculty/staff members in every school. Funds must be levied to ensure that schools are safe and healthy environments in which to learn and work. Relationships with parents, community representatives, board members, system associations, system hierarchy, and elected officials must be forged to support all systemic initiatives and funding efforts. CP: There is definitely an achievement gap in BCPS! As a principal and since retirement, I have heard repeatedly that staffing and resources would be attributed to schools based on needs — poverty, number of special needs students, number unqualified educators, need for instructional support, and provision for counseling and mental health supports; this has never seemed to happen, thus leaving students and those who educate them disadvantaged. Certainly, there are areas in the county which are clearly defined by the number of students who receive free and reduced meals, who have poor state and local test scores, and high disciplinary rates. What also correlates with these numbers are the statistics which indicate transient populations and sometimes limited parental support. Teachers in these schools often feel unheard and unsupported. There have been limited professional opportunities to grow, thus often creating environments where teacher retention is weak. This system has embraced the concept of the community school. The concept of the community school means engaging staff in professional development and increasing teaching tools to close gaps and to help students catch up. The concept of community schools means using programs to access and engage community people and parents to give them opportunities to speak honestly and openly. The concept of the community schools initiative means using a needs assessment to garner funding and staffing attached to the findings. The coordinator of the community school is to be a seasoned person who has demonstrated an ability to read data and act on it, reaching out to parents and communities, and (someone) who has demonstrated strong teaching, work, or supervision skills with those being served. The concept described here is in place with the jury still out on its success. Conceptually, S.T.A.T. can offer support to struggling schools if, again, the focus is on placing well trained staff in the buildings versus giving children a computer and sending them on their way without the human support and acumen to guide how the laptops are used and put in perspective of how they are used. Consideration needs to be given to the children in these under-performing schools so that how they are tested and their growth measured is reflective of where they started and where they are at intervals. Continuously testing children, knowing the results, only exacerbates the image in the minds of the children, parents, community, and staff that these children and teachers are not as good as other people. (Once when I was a principal, another principal asserted at a principals’ meeting that those schools listed in red, on the test results, were made up of the losers. Neither the assistant superintendent nor the other principals challenged this thinking; since I have no problem with challenging perceptions about children, I challenged the teacher, the assistant superintendent, and then the superintendent at the time.) This demonstrates what happens when All means All without regard to the circumstances…cookie cutter behavior! This does NOT bode well for the mindsets’ of the children or staff, breaking spirits and compounding the problem. ALL means ALL should mean finding what all children need to be successful. There is no mystery; meet the children where they are with solid instructional techniques and opportunities. Measure growth, assess the data, support the educators, and adjust services based on the findings. CP: In addition to the response I gave in number 6, let me add that where schools, other than new schools, are concerned, there is a level of equality. This is what is problematic about equality; it is NOT always good. Too many of our buildings are not maintained in a manner which follow procedures and protocols which monitor wear and tear. Our buildings are filled with people, children and adults, who use them and the furniture in them in all ways imaginable, as one would expect. Further, air and heat and water and all other related utility infrastructures fail, break down, require tuning; there should be /must be a schedule of checking and repairing before there is an issue which can cause harm or more expense. CP: School boards are managers of a system. Rules must be known, questions asked, pressed if needed. The relationship is not one of friendship, but management on every level. A superintendent and board must have a strong working relationship with the understanding that new ideas and programs should be questioned and examined. Superintendents should always be required to offer strategic plans for programs and policies. Anything that goes wrong with a superintendent has some tie to the board members. Members should carefully scrutinize the comings and goings of the superintendent, making sure that all ancillary work and holdings are above board and do not conflict in time and circumstance with the work for the System. CP: I would listen to the person because I know that I do not know everything. I would ask to assess whatever material they read to help them form their view; then I would make up my mind and act on it. Albeit, I am a friendly person, as a board member I would always remember I am there to do what is best for children, not going along with the group or someone else to make friends or to ingratiate; my integrity is very important to me. Always be open and respectful, but do what is best for children. CP: I would see myself as a representative of children and that includes those who work with them. When it is needed to be about the goals of the System, the community prospers. When there is a community view that needs a voice, then if it has merit, everyone wins. If one of the groups is counter to the other the bottom line has to be what is going to be fiscally sound and what supports the educational growth of the students. At the end of the day, the stakeholders must communicate; that is a main role of a Board member: communicator, bridge, advocate for children, and manager of the System. Conflicts will arise and sometimes the decisions will be a lot tougher than I just outlined, but that is why there are twelve people on the Board, a broad view ideas and discussions. CP: It is my intent to do what I do now as a community advocate and parent advocate for several children in the System, be known in the schools I represent, maintain contact with administrators, parents, elected officials, and other community stakeholder, be a presence in times other than for graduations and other System ceremonies. I will continue to work toward getting a career technology center for the west side of the county for students in comprehensive schools; I will continue to work with elected officials as a community advocate. Being on the school board should be an opportunity to pull all of the pieces together; it is a full responsibility, not merely a meeting a couple times a month! CP: ALL systems have discipline problems because people break rules. The system as a whole does not have problems where there are administrators who know the rules, know how to impart them to the students, use the Faculty Council in schools so that teachers hold each other accountable for discipline in their rooms, offer opportunities within the school to engage the students, make parent involvement critical, and engage the community stakeholders for support. Equitable, clear, consistent are adjectives that must be attached to behavior and discipline policies. They must, also, apply to the teachers and administrators who are to enforce the policies. Parents must be an active part and force in knowing the policies and recognizing the consequences when the policies are broken. Everyone in the school must be speaking the same language about behavior. I believe in the Faculty Council as a force to make sure that the students get consistent policies and rules, particularly in the classrooms. When the rules and policies are violated, action must be immediate, equitable, and in concert with the policies of the school and System. Support personnel must be available in schools to work with students who have emotional and physical disabilities or concerns which might lead to behavioral problems. Placing school resource officers in schools is a necessity for those inside the building and coming into the building; however, this must be merged with having students in classes with teachers and support personnel who have had training with recognizing students who might seem to have social and emotional needs. Human relationships often stave off possible problems; school officials and teachers should understand and use all of this as a means of supporting a nurturing, yet disciplined school culture and environment. Everyone deserves to feel safe in a school –everyday! CP: My position is the same as stated in question number 8. The Board is the manager of the System. The superintendent should NOT get a blank check or have the ability to make decisions about programs or policies without the scrutiny of the Board. The members of the Ethics Panel and the Board must always pay close attention to what they and the superintendent do in terms of fiscal and ethical responsibility. If a superintendent is spending an inordinate amount of time out of the System, that is a red flag. If big ticket programs are being considered, then the full plan, inclusive of a pilot project before the wares and program are completely purchased, the strategic plan, and implementation procedures and ramifications should be carefully and completely assessed. If this meets push back, that is another red flag and must be questioned. Again, the Board, superintendent, and all members of the cabinet should be constantly working together and asking the tough questions of each other. CP: I am very much in favor of our children using computers as a part of their 21st century learning modality. I am NOT in favor of laptops being used in ways which lessen the human factor in their classrooms. Developing ideas and expressing them orally and in written form are essential and must pre-empt the use of a computer. Children in their formative years must learn how to merge ideas and questioning with other children well before they go to the computer. Going to the computer should be a check and balance, a time when children are asked to explore the ideas they have forged on their own or through speaking to others. Use of the laptop for our babies is, also, an opportunity for developing manual dexterity. In terms of BCPS, I think way too much money has been spent on laptops with no thought to breakage at the hands of children and adults, no thought to how to use the equipment in conjunction with lessons as the teachers have been teaching, thus, no continuity for use. One to one use of a computer requires new strategies and thinking. While this is happening, who will suffer? The children will. What is the research for sanctioning this? What does the research say is the appropriate way to make the 1:1 for our youngest learners effective? Yes, we should be preparing our children for life after high school, but we must be very careful and well-trained in how we use our resources. We must also be fiscally responsible. CP: I will base my decisions on study of the issues and facts, needs of the schools and children, stakeholder and community information and feedback, researched information, available funding, and strategic planning. CP: Wherever there are rules of decorum, ethics, and delivery of services, those who manage and supervise, i.e., the Board must know them well. Being vigilant and aware of how we all are required to conduct ourselves and being transparent is important. For the sake of the order, it is imperative that questions are asked and oversight done regularly to maintain unblemished and focused attention on education. It is clear that more ways to oversee ethics issues, conflicts of interest, and financial disclosure must be found, implemented, and managed. The current rules are not as much of the problem as how to monitor and management the information supplied.